Since a few days, a revolutionary tool has been launched in the developers world. No, I'm not speaking of the NeoJoomlaBar ;) but of an extension for firefox which is FireBug 1.0 Beta. This extension will be very helpful for all web developers, or at least with Firefox users. Firebug enables you to post and modify HTML code as well as CSS properties of the page in progress. 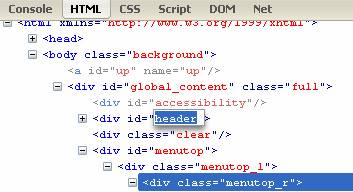 When you fly over HTML code, the object whose code is flown over will be highlighted in the page. Moreover, HTML elements are post in the form of node what facilitates really research in the code. 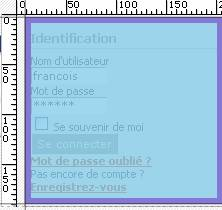 The CSS edition tool proposes some useful functionalities. 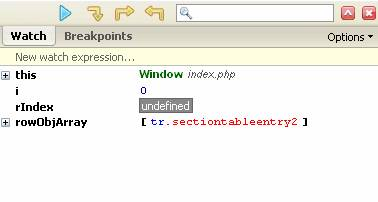 It enables you to post CSS properties of the selected element as well as the properties which it inherits. The lines having been crushed by other properties are striped, and in front of each line of CSS code, an icon makes it possible, in a click, to block the use of the line, there are two functionalities to find more easily and quickly the cause of certain concern which you can have with your style sheets. 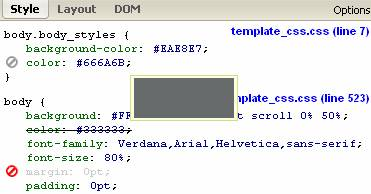 When you fly over the hexadecimal code of a color, a small box containing right-angled color will appear with the site of your cursor. The tag Layout enables you to post (and well on being able to modify) the padding, border and margin of the element selected via a small diagram. Moreover, two small graduated strips will make their appearance in the page on the sides of the selected element. Firebug enables you via the functionality Net to know the weight as well as the time of loading of all the elements of the page directly while it is charged. I think that the Firebug extension will very quickly become a tool impossible to circumvent for web developer Web. On the other hand, as many people seem to think, I am not sure that it will replace the Web Developpet Toolbar which proposes other functionalities that I did not find in Firebug.